This is the longest running scheme specifically covering installers of systems for Residential & domestic premises under BS 9251. At the time of writing, this is the only scheme widely supported by the sprinkler industry. As there is less variation in the design requirement of a sprinkler system for Residential & Domestic premises, there are no separately defined scopes of work or distinction placed between “approved” or “Certificated” contractors within the scheme. Under the FIRAS R&D Scheme, contractors are required to have successfully completed FIRAS recognised training courses in the design, installation and maintenance of Residential & Domestic sprinkler systems. It is mandatory that this training is successfully undertaken and “Qualification Certificates” are verified by FIRAS before certification may be granted. There are a number of providers of suitable training courses. Those courses which have been endorsed by BAFSA are regularly listed on its web site at: https://www.bafsa.org.uk/training.php. It is essential that the acceptability of a qualification related to a particular training course is verified with the relevant Certification Body in advance. On application to join the scheme, contractors also have to undertake a pre-certification inspection audit of their office premises and quality assessed, although not necessarily to ISO 9001: 2008. A full design review and site inspections of completed contracts is also carried out. Subject to satisfactory verification of training qualifications, inspection of the office premise, design review and installation inspections, certification status is awarded. After certification has been awarded to the contractor, on-going surveillance of system designs and of installation work is carried out by FIRAS on a random basis the frequency of which relates to the contractor’s activity level. 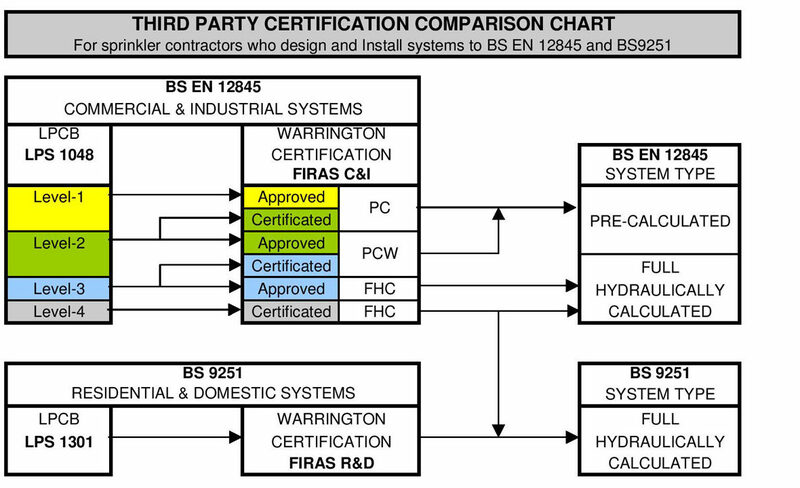 Launched in 2008, LPS 1301 covers installers of systems for Residential & Domestic premises under BS 9251. At the time of writing only one company is listed under this scheme.